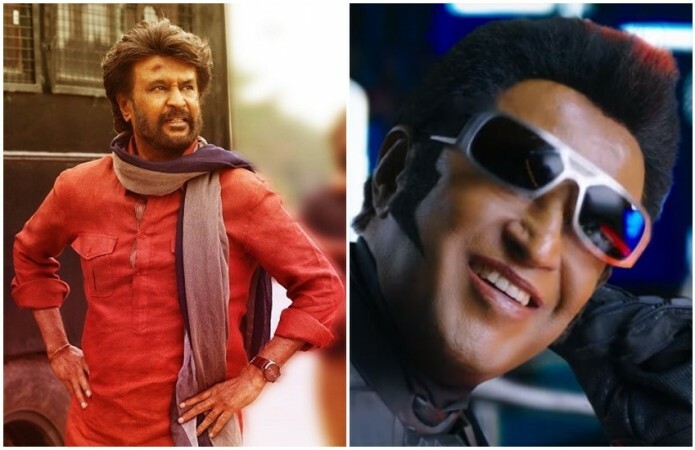 Sun TV and Zee Tamil will telecast Rajinikanth's Petta and 2.0, respectively, on the occasion of Tamil New Year. Well, Sun TV is all set to telecast 6.30 pm on Sunday. It is the first TV premiere of the Tamil movie just three months after its theatrical release. Whereas 2.0 is having its second premiere after being telecast last weekend. The decision of Zee Tamil to air the film at the same timing is expected to impact the TRPs of Sun TV. Karthick Subbaraj's Petta is an action-masala film, produced by Sun Pictures. Simran is the female lead, while Trisha Krishnan has done an extended cameo. A warden (named: Kaali) played by Rajini comes to a college to save a person, whose life is in danger due to age-old family feud. How he protects his loved one is the crux of the story. Commercially, Rajinikanth's Petta grossed over Rs 200 crore at the worldwide box office. Whereas 2.0 is the highest-grossing Tamil movie. It is a science fiction which throws light at the electro-magnetic radiation on birds and other species. The Shankar-directorial grossed over Rs 625 crore at the worldwide box office. Rajinikanth enacted the role of a scientist named Dr Vaseegaran and robots. Amy Jackson played the female lead, while Akshay Kumar was seen in the negative character.